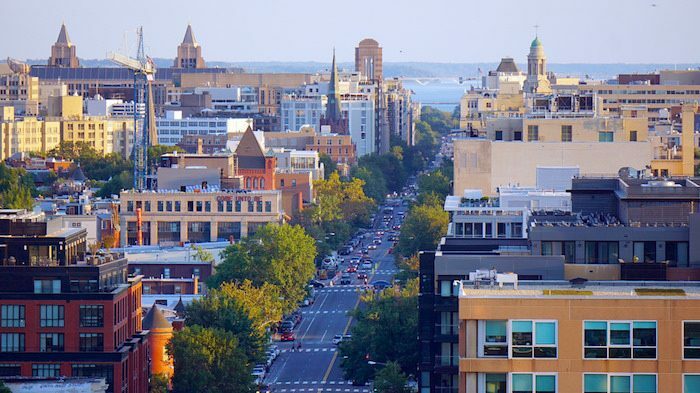 The greater Washington, DC metropolitan area is one of the largest urban areas in the country, encompassing over 6 million people who come to live, work, and sightsee in the nation’s capital. 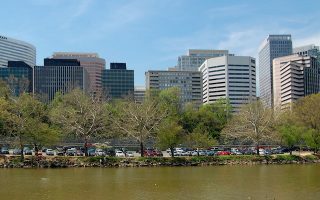 But many businesses and residents are located in the immediate suburbs on the other side of the Potomac River in Virginia and just to the north of D.C. in Maryland. We’ve added to our Washington, D.C. routes with a guide to running in the Washington, D.C. suburbs that includes Fairfax County in Virginia (Reston, Mclean, Alexandria, Tysons Corner) and Montgomery County in Maryland (Bethesda, Rockville, Chevy Chase, Silver Spring). The area is fairly sprawling so it’s hard to cover all of the major centers comprehensively–so we’ve tried to highlight some of the best and most popular places to run within a 10-mile or so radius of the Capitol. The local infrastructure for running in this area is excellent, with numerous interconnected bike paths and pedestrian trails. We’ve divided the D.C. Burbs coverage into a section for each of Virginia and Maryland, featuring our recommendations of the best running spots. Our running guide map also incorporates our D.C. routes in a separate layer. 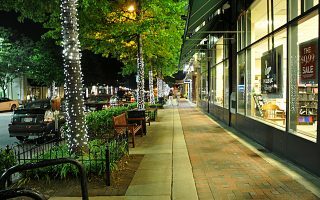 Several great routes in the communities to the north of D.C., including Bethesda, Silver Spring, and Rockville. Highlights include Rock Creek Park (& Regional Park), the Capital Crescent Trail, Cabin John Park, and in Bethesda the Trolley Trail and Garrett Park neighborhood. Several great routes in the communities of Arlington, Reston, Alexandria, Tyson’s Corner, and Fairfax. Highlights are routes in Old Town Alexandria, Mt. Vernon Trail, W&OD Trail, Custis Trail, Four Mile Run Trail, Great Falls Park, trails in Reston. The weather in the D.C. suburbs is similar to the city. It’s a good area for running year-round. The biggest issue is the height of summer, where temps average near 90F (32C) during the day and stay in the 70s at night. It’s humid. Running from mid-June through mid-September can be a challenge. Autumn is gorgeous and holds on well into November. Winters are cool but rarely frigid, with temps dipping below freezing at night. It snows a few times a year and the roads/pathways can get icy. Spring is known for the famous cherry blossoms, which peak in the first two weeks of April.